The Legal Genealogist is home today. Proud to be the spring seminar speaker for the Alabama Genealogical Society. Delighted to be at Samford University, home of the Institute of Genealogy and Historical Research each summer (hope to see you there in June!). Home in a place I’ve never lived. 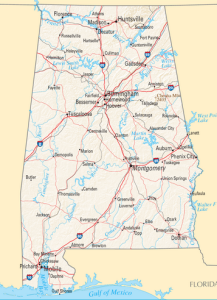 Home … in Alabama… Home to generations of my ancestors. 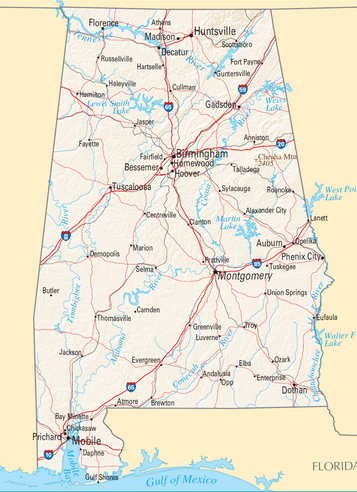 At this point, it’s entirely up in the air just how many of my family lines passed through Alabama. And when I walk to the front of the room today in the Brock Forum Auditorium, I will be thinking of those generations of women who did my family proud. And hoping I can do them proud in my turn. I am hanging on every word. Thank you so much for coming! Thank you for coming. I have been involved in Genetic Genealogy for over a year now. You helped me to tie everything I have learned together. I hope you will come back! Thanks for the kind words, Marsha. I had a wonderful time! Thank you for coming back home. It was very nice meeting you and the knowledge that I gained from your DNA presentations will go a long way to helping me figure out who and where I came from. It was great meeting you, Ricky, and I hope you found the presentations helpful. Thanks for the kind words, Ron — and what an amazing coincidence that you’re related to Maud McLure Kelly! Her papers are collected in the Special Collection at the Samford University Library where I was this past weekend! I mentioned her in my post today because I’m hoping to have some time to look at her papers when I’m at IGHR this summer. I wish I was there this year! Great to hear you had a good time. I have deep Alabama roots and study within the state (when I can) and online, mostly through the ADAH website. The ADAH website is first rate, Paul! Sorry I missed you this year. “Oh George…you stinker!” What caught my eye was Preston Gilbert. My 5th great grand father is Preston Gilbert out of Bedford, Pittsylvania Virginia. Not the same Preston Gilbert you mention in your blog but probably related. Oh my… chances are there is some relationship!